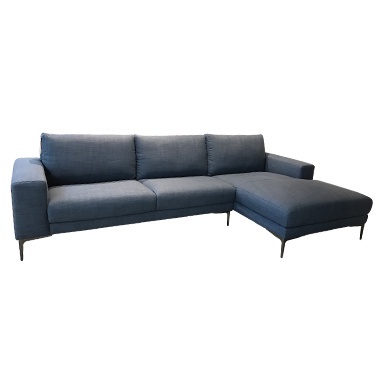 The stylish, modern Levi 4 Seater Chaise Suite in moody Denim coloured upholstered fabric. The Levi is imported and was hand selected by the Casual & Country Design Team. High resilient foam seats with brushed steel legs.